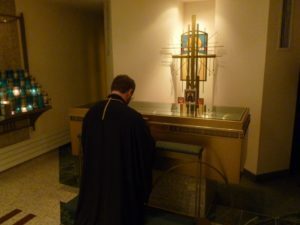 Bishop Velychkovsky Martyr’s Shrine offers an opportunity for evangelization – to hear the Good News afresh. The inspiring story of Blessed Vasyl’s life is presented through film, wall panels and various artifacts. We strive to keep the Shrine open as much as possible. There is no cost for visiting our museum, but we do accept donations (charity receipted). Besides individuals, we are also prepared to receive groups who come on pilgrimage or just to get informed. We have also organized pilgrimage tours to Ukraine to places where Blessed Vasyl lived, worked and suffered. You are invited to come and spend some time in prayer before the Holy Relics of Blessed Vasyl or experience a prayerful and spiritual visit of the shrine and museum. Acathist or Moleben in honour of Blessed Vasyl is celebrated every Wednesday at 7:00PM . A group tour can last from 45 minutes to 2 hours, depending on the needs of the group. We recommend planning to spend at least an hour and a half for a good shrine tour. The Shrine tour can also be augmented with a prayer service in the Shrine and with an opportunity for the Sacrament of Reconciliation. Every few years we offer a Bishop Velychkovsky Pilgrimage to Ukraine to visit and pray the sites where Blessed Vasyl worked and lived. We will walk the streets he walked. We will hear the stories about his life. The primary purpose of a Pilgrimage is spiritual, therefore there will be many opportunities for prayer. Besides visiting Bl. 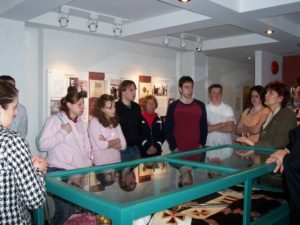 Vasyl’s sites, we also have the opportunity to visit sites of other martyrs. 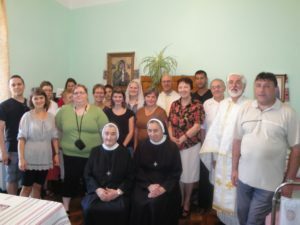 We visit the cities of Lviv, Ternopil, Kamianetz Podilsk, Ivano-Frankivsk, the Carpathian Mountains, Kyiv and villages where our Blessed Martyr worked, lived and was imprisoned. There is also an opportunity to tour this beautiful country and meet its people. Our next Bishop Velychkovsky Pilgrimage is planned for the summer of 2018. Please contact us for more information.